Such a beautiful post,(with awesomely laid out photos). Thanks Maria, I hope you try it! YUM! This looks delicious Jen! Looks good!! Going to make it this weekend!! Great! Let me know how you like it. 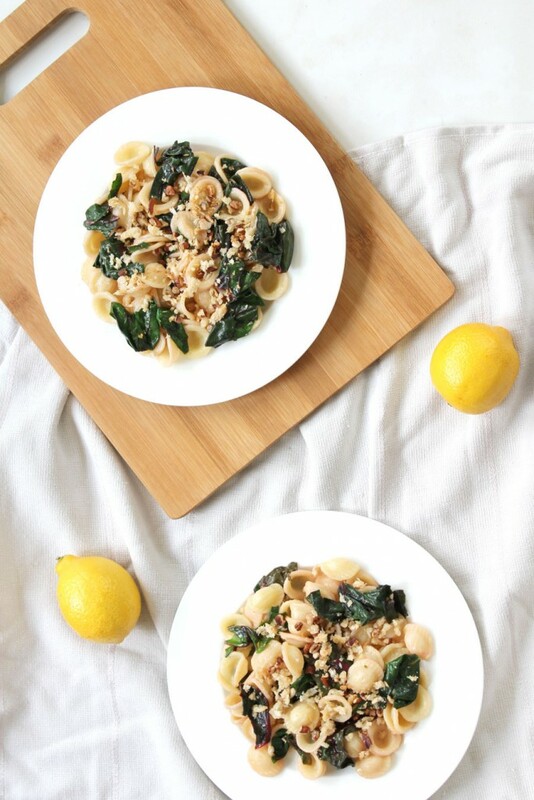 This looks delicious and just like spring :) Will definitely be trying this recipe! 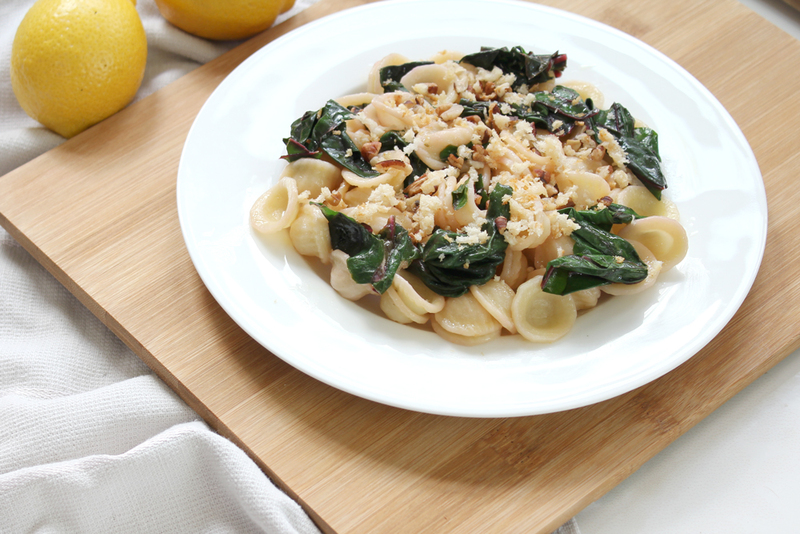 This recipe looks so good and fresh. Will definitely try this out! Thanks Dave, I hope you do! Your website is very clean and pretty. Love the styled photography. Anything with pecans and I sold! You are so sweet Lola, thanks! This looks so fresh and simple, love it! Yum yum yum 10,000 times! 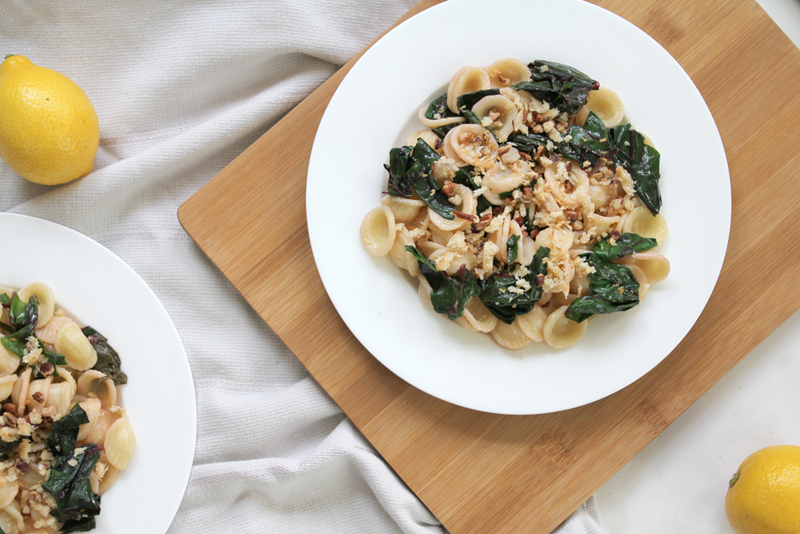 Orechiette pasta is possibly my favorite kind of pasta! Great recipe! Just made this for dinner and it was amazing! 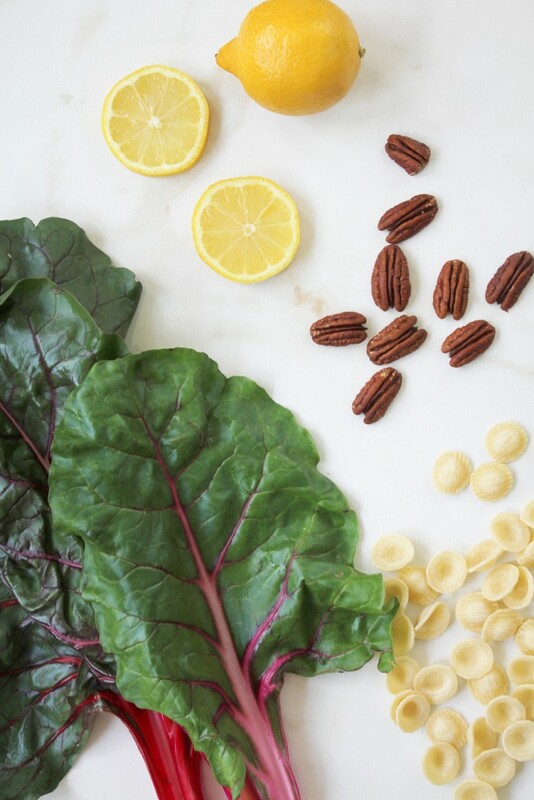 I LOVE lemon with pasta, and that pecan crumble was to die for!